Hello . We are proud to provide you the best service for High Quality PR Blog Comment Backlinks created on High Authority Social Networks sites which have become a popular and powerful way to boost ranking of any site. 2. 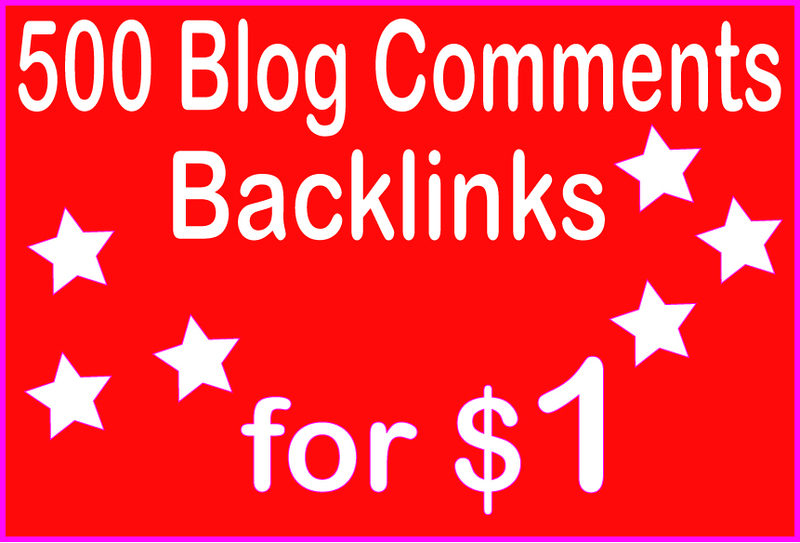 You'll get 500+ Blog Commentbacklinks from unique high Page Rank. Submit You HQ PR 500 Blog Comment Backlinks is ranked 5 out of 5. Based on 29 user reviews.